A website can suffer greatly in the search results due to broken links, errors and incorrect implementations regarding redirects. Luckily, easy solutions exist to correct issues and problems simply with the use of a link checker tool. In today’s SEO market, link checker tools are probably the most needed and used tools along with programs that research keyword related aspects. And therefore, a variety of companies have created link check software, online and stand-alone programs that can provide a wide array of information and reporting that makes it easy to find errors and offer solutions. 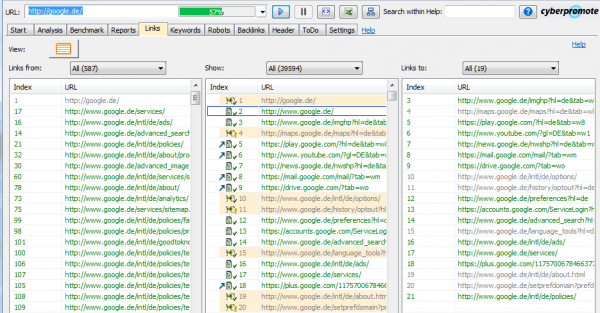 Google Webmaster Tools, Xenu Link Sleuth and the W3C Link validation tool are free linkchecker tools that can help webmasters find problematic links on a site. Another free tool is the Google Chrome Page Checking plugin that can be added to the Chrome browser. However, the tools mentioned generate very basic information. More robust programs such as Screaming Frog’s Spider SEO, Moz and Ahrefs provide returns on many addition elements as well as URLs. A tool that really stands out among the crowd is Forecheck, without question the most robust link checker tool on the market. 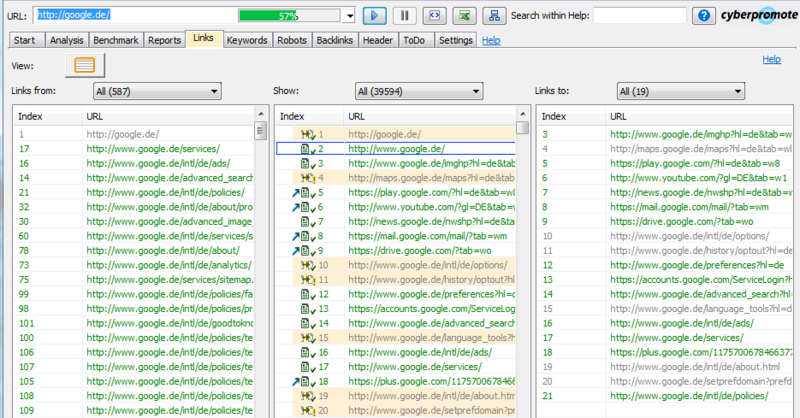 No other tool that we know of can analyze sites with over a million URLs. Most link checker tools only return information on a few hundred to a few thousand URLs, and for many of the web based tools you need to wait a day or week or so for the results. However, with Forecheck you just click start and let the tool run, minutes for small sites and up to a few hours for extremely large sites. 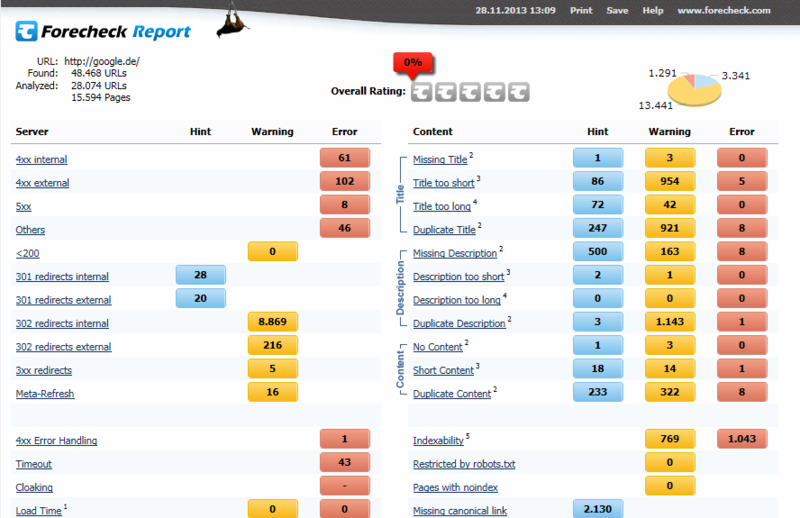 Once you stop the analysis, you can immediately create reports and filter these as preferred. If you have a web team waiting on the returns, you can literally run an analysis, create the reports and email them to your team on the same work day! Besides crawling the entire site based on the User Agent selected and returning server status errors and redirects such as 404s and 302s, Forecheck provides a wealth of additional information including meta elements, content, duplicate content and much more. Regarding links and Forecheck’s link checker abilities, Forecheck provides all inbound and outbound links connected to the URLs in a site. These can be filtered and edited for reports as desired.